Each born in Roanoke "Star City",VA. iLL-iteracy's members developed affinities for music early in their lives. Whether it was jam sessions in the basement or rocking the crowd at their high school football games, their talent and love for all things instrumental was obvious. The group was officially formed circa 1998, but have known each other since about the age of six. Beginning with tee-ball, the members had a close friendship with each other that only seemed to grow stronger as time went by. This is a fact that many people find intriguing, as not too many people tend to have one best friend for so long, let alone an entourage of them. The group was formed in the Dudley Basement, which was only a half mile away from William Fleming High School where they all attended. Honors classes, magnet programs, and an enthusiastic approach to learning undoubtedly had an effect on their appreciation for the art of music. After school, each of the members would gather around a computer, a base-model plastic computer microphone, and a technologically inferior recording program just for kicks. There was no mission in mind; no money-making scheme... There was just music. The members of iLL-iteracy are Scott Dudley - "Chris Prythm", Kirk Dudley - "Speek Eazy", Corey English - "WiLL Spitwell", and George Trent - "Young Observe". Now operating under the witty moniker "iLL-iteracy," they site influences such as God, each other, Roanoke City, prayerful mothers, scornful fathers, the loss of loved ones, and all the typical conditions that define an inner-city. Their sound is inspirational but far from ignorantly blissful and their musical arsenal ranges from upbeat anthems to thought provoking, more conscious selections. 'iLL-it' shows no indication of slowing down nor do they appear to be fatigued in spite of working day-jobs, earning college degrees, and managing families. The phrase "due time" undoubtedly comes to mind when you factor in that the team writes, records and mixes all their own music. 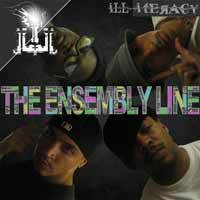 The group's determination shines through more recent ventures including "iLL-it Beatz," an integral section of the official website (www.iLL-it.com) that was created from beginning to end by Speek Eazy and Chris Prythm. "iLL-it Beatz" showcases and makes available quality, custom-fitted tracks for other artists to use in further sharpening of their respective crafts. In an industry where 'one-hit-wonders' are prevalent, the individuals that make up iLL-iteracy are bound and determined to be anything but. They continue to develop their skills on both the artist/producer and executive sides of the business in preparation for the opportunity that most never get. But that's the motivation that pushes them harder and fuels the hunger that so many others lack. A group holding no limits, versatile with the ability to mesh with any genre, not following 'hype' or others, just the love and passion to make riLL music.